Dreamstyle Remodeling of California, Inc.
Blueskies Real Estate Development, Inc. Comment: Need to replace old screens on windows. Comment: Double paned windows need to be replaced due to discoloration between the panes. Comment: I need all (5) window screens replaced in my condo . Please email vs calling Thank you! Comment: I would like to get an estimate for two new windows installed.on second story. Comment: We are looking to replace all our windows in our house and replace our sliding door as well. 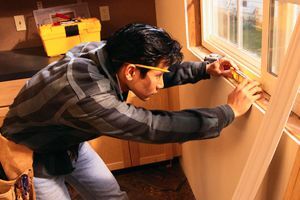 San Diego Window Replacement Companies are rated 4.78 out of 5 based on 603 reviews of 54 pros. Not Looking for Windows Contractors in San Diego, CA?